anointedheels: Doesn't It Feel Like Christmas? This is what my kids do with the Christmas tree ornaments! They made a pool table! How's Christmas going in your part of the world? Over here, we are Christmas fanatic! my tree has been up since after thanksgiving dinner. LOL it's a good thing and a bad thing! While waiting for Santa to bring the toys, the ornaments serve as everything but ornating the tree. The ornaments are sometimes tennis balls, golf balls, as pictured above pool balls, for Mr Petey the dog they are chew toys and for my borrowed baby boy they are throw toys! I'm tired of yelling about it, so now I'm just going with the flow. 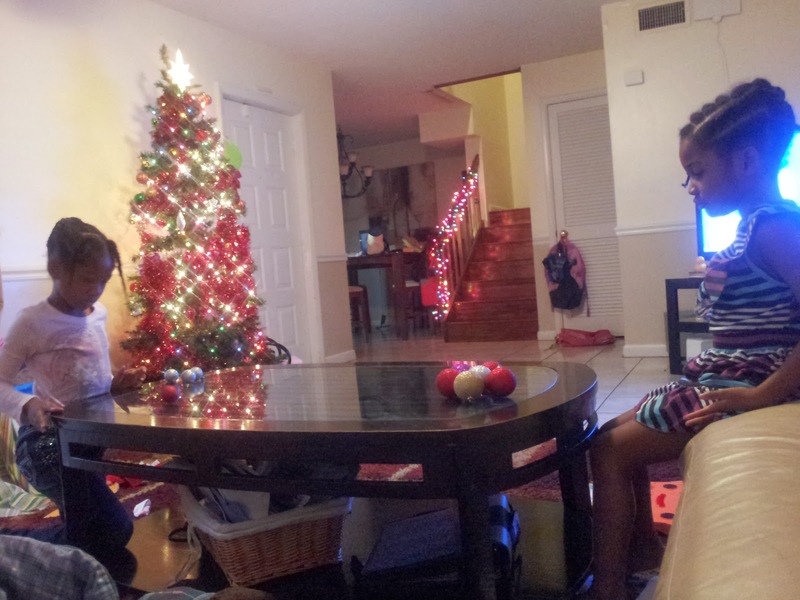 However they want to make their Christmas memories I'll roll with it. How's your Christmas going coming along? Do you have small children? How do you keep them off the tree?